According to new data from market research firms IDC, Canalys and IHS Markit, Huawei outperformed Apple in terms of units shipped for the second calendar quarter of 2018. Huawei now stands in second place among the world's top smartphone vendors, knocking Apple down to third for the first time in seven years. Both IDC and IHS estimate the Chinese firm sold 54.2 million units during the period, while Canalys puts the number at an even 54 million. Huawei's growth, which ranges from 41 percent to 44 percent on the year, gives grants the smartphone maker a 15.7 percent share of the global market. That compares to Apple's 12.1 percent marketshare cited by IDC. Apple on Tuesday reported its best June quarter ever, recording $53.3 billion in revenue on the back of 41.3 million iPhone sales. Though iPhone unit sales were up only one percent, device revenue surged 20 percent year-over-year on a stronger mix of premium priced handsets like iPhone X. 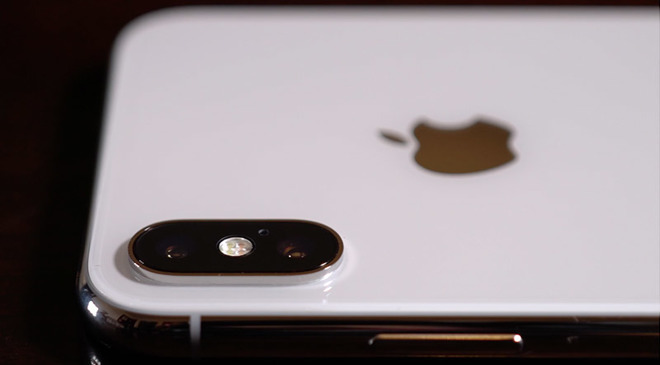 It was Apple's most expensive phone that maintained its position as the company's best performer, helping drive average selling price to $724, up from $606 a year ago. Still, as is often the case with low-priced consumer electronics, Huawei managed to outdo Apple in terms of sheer quantity. "The continued growth of Huawei is impressive, to say the least, as is its ability to move into markets where, until recently, the brand was largely unknown," said Ryan Reith, program vice president with IDC's Worldwide Mobile Device Trackers. "It is worth noting that Apple moved into the top position each of the last two holiday quarters following its product refresh, so it's likely we'll see continued movement among the top ranked companies in 2018 and beyond. For most markets, the ultra-high end ($700+) competition is largely some combination of Apple, Samsung, and Huawei, depending on the geography, and this is unlikely to change much in the short term." Samsung led the pack with 71.5 million smartphone shipments to take 20.9 percent of the market, a contraction of 10.4 percent year-over-year, IDC said. Canalys found slightly higher numbers for the South Korean manufacturer at 73 million units shipped, while IHS estimates put Samsung's performance at 70.8 million phones. Following Apple was Xiaomi and Oppo, with a respective 31.9 million and 29.4 million units shipped for the quarter, according to IDC. Xiaomi's growth represents a 48.8 percent change from the same time last year, while Oppo posted gains of 5.1 percent. Overall, IDC found the smartphone market contracted 1.8 percent year-over-year, echoing recent findings from other market research firms warning of a wider slowdown. During an investor conference call on Tuesday, Apple CEO Tim Cook said smartphone market fluctuations belie the segment's true health. When asked to comment on recent figures, Cook said he believes the smartphone market is "very healthy." "I think it's actually the best market in the world to be in for someone that is in the business that we're in," Cook said. "It's an enormous sized market and whether it grows, from our point of view, whether it grows 1 or 2 percent, or 5 or 6 percent, or 10 percent, or shrinks 1 or 2 percent, it's a great market because it's just huge."